Our hair needs extensive care and looking after throughout different weathers and changing seasons. During all this, how can we prevent hair damage and how to get healthy hair? Hair should be washed no more than four times a week. This is because our hair tends to be sensitive; too much washing will cause the natural oils to diminish, due to which the locks will turn dry and bristly and may even result in hair fall. At the very least, shampoo usage should be reduced to every other day instead of everyday; shampoo strips grease and oils out of our hair, which is another major cause for dry hair. Moreover, the water should be lukewarm to cool; hot water can be harsh for hair and even cause split ends. Once out of shower, prevent towel drying your hair. Since hair tends to be prone to breakage when damp, let it air dry. Furthermore, do not brush your hair when after washing it; this can cause them to easily rip, which again raises the issue of hair fall. Instead, use wide-toothed combs. Moreover, when brushing your hair, brush from bottom to top as this detangles your hair properly and lessens the risk of hair breakage. When it comes of how to get healthy hair, do remember that excessive usage of heat styling products can cause major damage to your hair. While the temporary curls might be great to look at, what you are not aware of is the fact that they are frying up your hair up over time. Always apply heat protectant serums and sprays prior to styling your hair, or purchase heat styling products with ceramic plates to prevent your hair from maximum damage. The most beneficial solution is to just put aside those heat-styled hairdos for a while and embrace your natural hair, or simply opt for more natural ways to style your hair. It is essential to regularly trim your hair, as this will keep those locks looking healthy and beautiful. Your hair may be prone to split ends due to changes in weather, hair growth, excessive usage of heat styling products, excessive brushing, and so on; these can cause the hair to look dull and frizzy. This is essential in solving the problem "how to get healthy hair" because natural remedies always ensure best results. Bananas are a rich source of potassium. This encourages hair potency, restores your hair’s elasticity, and nourishes them, making them appear much healthier and glossy. They are often used as deep conditioners as they reduce the fizziness and restore natural oils in our hair. How to apply: To make a mask, simply mash up a banana with a fork, apply over your hair top to bottom and leave it on for preferably 15-20 minutes. Rinse it off with shampoo. Your locks will feel so much softer. 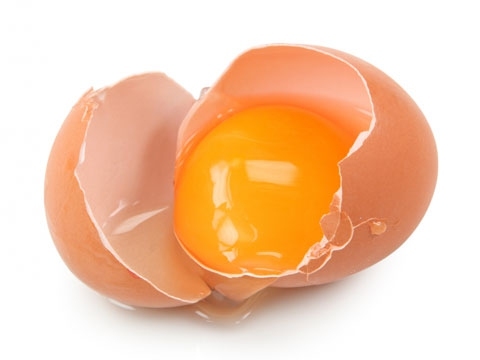 Egg yolks contain a vast amount of fatty acids and they are extremely moisturizing for hair. This is a very effective and ridiculously simple remedy for all kinds of hair, especially dry, due to its nurturing and softening properties. How to apply: Separate the egg yolk from the egg white and mash it in a bowl. Apply from roots to tip and leave it on for 30 minutes to one hour. Wash it off with lukewarm water and notice how healthier your hair looks. Oil massages are quite common nowadays, especially in south Asian countries. A warm oil treatment is an efficient treatment for hair loss and fizziness, and it is extensively used throughout south Asia. The common types of oils used are coconut, mustard and olive oil. How to apply: Massaging head with warm oil causes the blood flow to increase and, therefore, strengthens the hair. This lessens the dull appearance and gives them a shinier appearance. Give your hair a soothing oil massage once or twice a week for the best results. 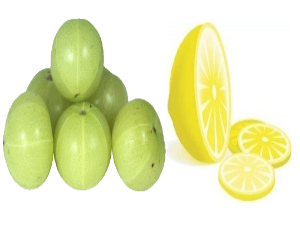 Amla is known to reduce common hair problems that are related to stress, such as dandruff, dullness and hair fall. It is a rich source of vitamin A and vitamin C, which are both vital for healthy looking skin and hair. Lime juice removes excess grease and oil from your hair; therefore, this hair mask should only be used once every two weeks. How to apply: To make the mask, mix amla powder with two teaspoons of lime juice. Apply to hair directly and rinse off once dry. 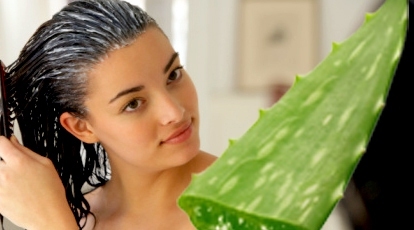 Aloe Vera is an old and still commonly used remedy for better skin and hair. The enzymes in this substance cause your hair to appear much healthier and glossier. It is a quick and effective element for damaged hair. It strengthens the hair and causes the locks to appear much bouncier and shiny. How to apply: Simply pick up a bottle of aloe vera gel or squeeze some gel out of an aloe vera plant. Then, apply it directly onto your hair. Rinse off with warm water after 30 minutes. Your diet makes a huge difference on your appearance. Consume foods rich in vitamin B, vitamin C, protein, iron and zinc. These are essential for the healthy growth of hair. On a sunny day, cover your head with a scarf, hat or umbrella as the heat could cause damage to your hair. In winters, try not to expose your head to the chilly wind as it can cause your hair to be bristly. While swimming, wear a swimming cap to prevent damage from chlorine. A sports lover who thinks health and family comes before all other things. Carpe diem! Server responsed at: 04/18/2019 10:42 p.m.